I find that a lot of people involved with social media tend to get into discussions about which platform is better with the ultimate goal of eliminating of one platforms they are discussing. This happens often with the Facebook and Google+ debate, with the goal of eliminating Facebook and totally defecting to Google+ or vice versa. This debate is really unreasonable because there should never be a goal to eliminate either platform because both usually serve very different purposes and are geared toward a different demographic. My followers on ALL of my social media platforms are ALL very different. Imagine when I ran across a demographic that presents reasons why blogging is better than Facebook. I can’t even understand why one would have created an infographic like this as both platforms are so totally different. Additionally one is really used to push the other, Facebook is a huge tool in pushing any blog. Social media really is a great vehicle in which to drive any content, especially a blog. A blog is truly irrelevant without readers and social media platforms act as a vehicle to drive readers. 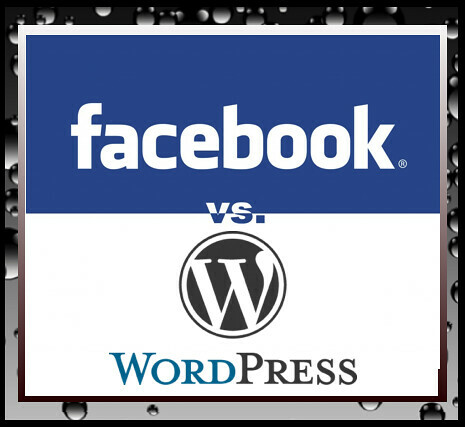 Take a look at the Infographic below which points out why Blogging is better than Facebook.